Six large bedrooms and four massive bathrooms are offered in this recently remodeled single-family home. The home is H-shaped with three bedrooms and two bathrooms on each side of the main living area. Absolutely no steps are inside the 1-story home. The Nano walls/doors provide an all-embracing, transparent view of the backyard's garden and expansive, heated, lap pool. The walled in 14,000 Sq/Ft lot is located on a cul-de-sac in South Coconut Grove, offering the ultimate privacy for its homeowners even with the home's transparency. The contemporary style of the property includes gleaming wood floors, very high ceilings, an extra large living room, a kitchen with a gas stove, a metal roof, a huge covered terrace (large enough for an al fresco living room and dining area), and a 2-space carport which are features that make the home very unique. 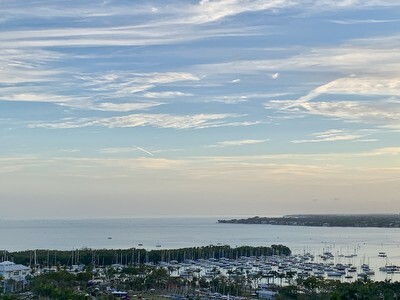 There is nothing like this in Coconut Grove. Is this rare find for you? If so, contact us. This charming 3 bedroom, 2.5 bath townhouse is located in the highly sought after French Village near the Coconut Grove Village. 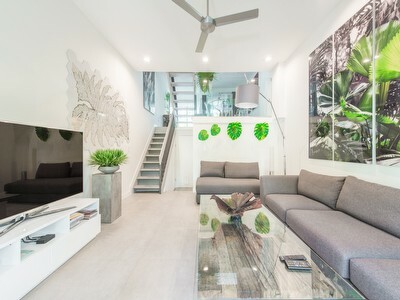 The home's architecture is very different from what is usually found in Coconut Grove. Its ivy covered exterior, brick pavers, gabled ceilings, and quaint backyard give the home a sense of European flair. Fully gated, this property offers quietude and privacy even though it's block away from the vibrant Coconut Grove Village life with its renowned restaurants, boutiques, movie theater, and superb private schools (Ramson, Carrollton, Saint Stephens) and public international schools. Is this the one for you? Contact us. This newly updated 3 bedroom/2 bath property has the perfect flow of light making it a bright and inviting home. It is located a few blocks away from Miracle Mile and is nearby all of Coral Gable's amenities. It's garage, renovated kitchen, contemporary bathrooms, and expansive backyard make it an ideal home. 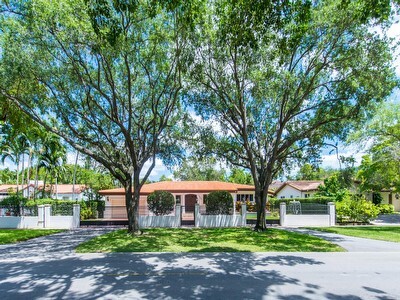 This home offers a unique Cap Cod architecture and is situated on Kiaora Street, one of the most sought after streets in South Coconut Grove. The other remarkable characteristic is the size of the corner lot: 21,187 SqFt. Aside from the large, circular driveway, there is a parking garage. The main house includes 3 bedrooms and 2 1/2 baths. Separate from the main house is a cottage/guest house that has 1 bedroom and 1 bathroom. Some other great features are its formal living room, dining room, wood floor, a fireplace, and a great room surrounded by French doors. The French doors open up to the expansive backyard, where you can find a secluded garden and a very large pool. A true charmer.